An extra layer of side impact protection makes the Emblem Convertible Car Seat an even safer seat for your growing baby. 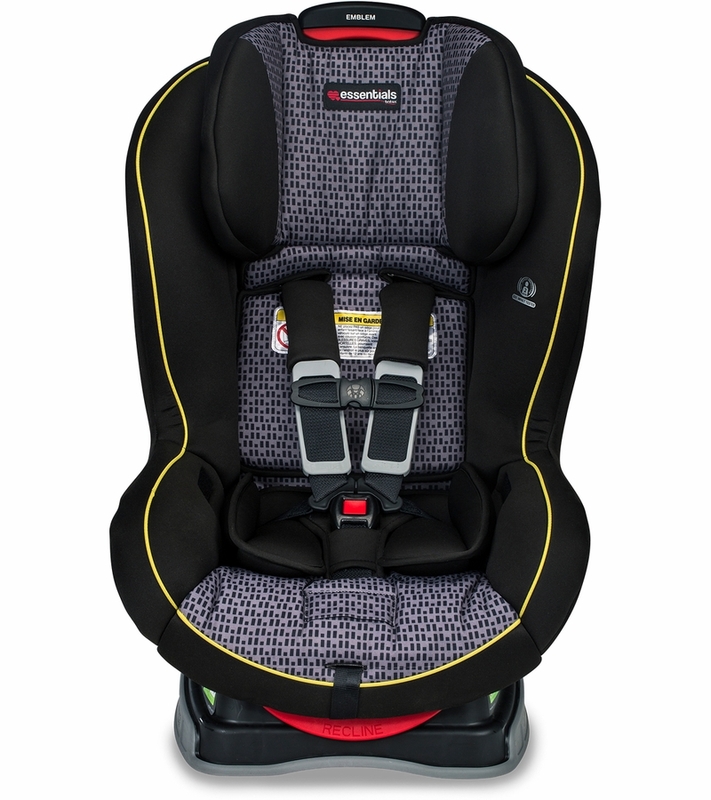 Designed with Britax safety technologies to help provide peace of mind when you?re on-the-go. Includes SafeCell Impact Protection ? 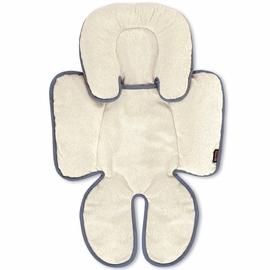 a system of patented safety features designed to help keep baby safe and sound. This is such a sturdy, well made car seat! Love the fabric! Britax makes the best car seats! The shipping from Albeebaby is fantastic! ProsVery safe and well made! ConsHeavy and takes up a lot of room but well worth it for safety! I bought this as a second seat. I have the Graco 4ever. This one is a lot lighter, I didn�€™t like the scratchy Velcro they have on the straps to hold them out of the way but my son doesn�€™t seem to mind. Also it�€™s a lot harder to raise the head rest than the Graco. It feels like it�€™s stuck and you really have to jerk it. However, I feel like this seat hugs my son better and keeps him safer! The Velcro to hold the straps out of the way scratches my son. The handle to adjust the straps is difficult to pull. My son has less room in this seat than others as well. I got this carseat a few weeks ago when I attended Mommycon and have to say I love it. When I got this seat I had to install it in my husband's small dodge dart. I have installed several other carseats in his car before.I always have to let the passenger seat all the way up just to get the seat in.It's not fun nor safe to have your knees in the dash board.I installed my Britax Emblem with ease.I was able to let the passenger seat back with plenty of leg room. I have installed this seat in my van and in laws vehicles with ease also.It's a pretty compact seat. When I first picked the seat up I thought it was going to be heavy like other Britax seats.It's actually pretty light but you can see it still has all of Britax's safety standards in it.It has nice fabric and my daughter seems really comfortable in it.I have own several different carseats and some my children just weren't comfortable in.My daughter really likes her Britax Emblem and has plenty of room to grow. 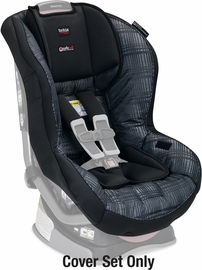 I have told several of my friends about this seat for their little ones.It's at a great price point and you know Britax puts their love into every seat they make. We recently had the opportunity to tour Britax and see how much they truly care about the safety of our kids!! We now have the emblem car seat and it's incredible!! Opening the car door and seeing the steel frame as I put our daughter into her seat reminds me how safe she is in the car! We love Britax! Thanks for creating safety we can see! i love this seat! I got the seat at a Britax event in Charlotte and it's such a great seat, i opted to buy another one. so now my 2 year old and 1 year old sit in these seats. I was so excited when I found out I will have the opportunity to review Britax Emblem Convertible car seat provided through weeSpring Parent Panel .Choosing an appropriate car seat is a huge decision. Not only you have to worry about the safety features , but also find the best fit for your family and your lifestyle. Britax has been with our family since the birth of our son, who is now almost 2.5 years old. We have decided to use this company for infant car seat and a stroller travel system, so we are well familiar with the high quality of their items.Safety features in this convertible car seat are amazing. Very reassuring to know that you child is super safe with the extra layer of side impact protection (which also can be used as a side pillow for these car cat naps).The design is classy, not to busy pattern and great material to easily clean those juice spills !Most of the cushions can be removed for more deep cleaning. What I did think it's missing in this car seat is a bottle holder . It would be nice to have that part of the car seat. Installation was super easy. The car seat is also not too heavy, which is nice, if you have to switch it from car to car. Headrest can be adjusted to fit the height of you child. Overall I really like this car seat! I was so excited when I found out I will have the opportunity to review Britax Emblem Convertible car seat provided through weeSpring Parent Panel . Choosing an appropriate car seat is a huge decision. Not only you have to worry about the safety features , but also find the best fit for your family and your lifestyle. 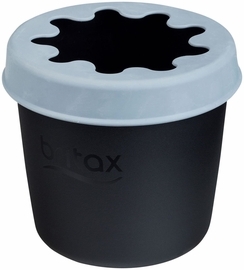 Britax has been with our family since the birth of our son, who is now almost 2.5 years old. We have decided to use this company for infant car seat and a stroller travel system, so we are well familiar with the high quality of their items. Safety features in this convertible car seat are amazing. Very reassuring to know that you child is super safe with the extra layer of side impact protection (which also can be used as a side pillow for these car cat naps). The design is classy, not to busy pattern and great material to easily clean those juice spills !Most of the cushions can be removed for more deep cleaning. What I did think it's missing in this car seat is a bottle holder . It would be nice to have that part of the car seat. Installation was super easy. The car seat is also not too heavy, which is nice, if you have to switch it from car to car. Headrest can be adjusted to fit the height of you child. Overall I really like this car seat! In my opinion Britax makes a darn good seat, so I was super excited to try out the Emblem thanks to the weeSpring Parent Panel. It's really great that Britax has introduced the "Essentials" line to compete with lower-priced competitors. I was happy to see so many of the same features in the seat as in my other Britax convertible seat. There is an easily adjustable non-rethread harness, so you can adjust the height to different positions without having to take the seat out of the car to re-thread the harness straps. The only things this seat doesn't have compared to non-Essentials Britax seat is the EZ Buckle and the ClickTight feature, but totally not a deal breaker to be able to get a Britax seat. I love that this also has the SafeCell Technology and steel bars - this adds an extra layer of safety in my thinking. There is also really good side-impact protection with the deep side walls. Since this seat will work for up to 49 inches tall, I'm happy to say we'll be able to get a lot of use out of it. My daughter was happy as a clam in her seat. It was easy getting her in and out of it and it was easy to install in the car as well. The LATCH makes it simple in my mid-size SUV. There was still a decent amount of passenger leg room with the car seat behind it rear-facing. In my opinion Britax makes a darn good seat, so I was super excited to try out the Emblem thanks to the weeSpring Parent Panel. It's really great that Britax has introduced the "Essentials" line to compete with lower-priced competitors. I was happy to see so many of the same features in the seat as in my other Britax convertible seat. There is an easily adjustable non-rethread harness, so you can adjust the height to different positions without having to take the seat out of the car to re-thread the harness straps. The only things this seat doesn't have compared to non-Essentials Britax seat is the EZ Buckle and the ClickTight feature, but totally not a deal breaker to be able to get a Britax seat. I love that this also has the SafeCell Technology and steel bars - this adds an extra layer of safety in my thinking. There is also really good side-impact protection with the deep side walls. Since this seat will work for up to 49 inches tall, I'm happy to say we'll be able to get a lot of use out of it. My daughter was happy as a clam in her seat. It was easy getting her in and out of it and it was easy to install in the car as well. The LATCH makes it simple in my mid-size SUV. There was still a decent amount of passenger leg room with the car seat behind it rear-facing. Great car seat! Easy to install and clean! Thanks to the weeSpring Parent Panel for providing me with this convertible car seat! My husband and I absolutely loved it! Super easy to install and move from one car to the next! My daughter is growing like a bean stalk and love being able to easily adjust the seat to fit her! Love the padding, very comfortable and fits in the right places! Wish it had a cup holder attachment for older kiddos. Very cute design and can work for both genders! Super easy to clean! We were lucky enough to receive the Britax Emblem Convertible Carseat from the weeSpring Parent Panel. I could not have been more thrilled, as we had a Britax infant carseat for our little one and were happy to stay with a brand we trusted. Safety is our number one priority, and Britax has thought of everything with the side impact protection. My one comment is on the sheer size and weight of the carseat, which made it a little difficult/cumbersome to install. We also notice that our little one sweats a lot, so I'm not sure if it has to do with the material or if our LO just runs hot (we had the same thing with her infant carseat). However, I have no problem trading some sweat for peace of mind. Britax really seems to be leading the pack when it comes to safety and affordability, which is something all parents can appreciate. I received this car seat from the weeSpring Parent Panel. 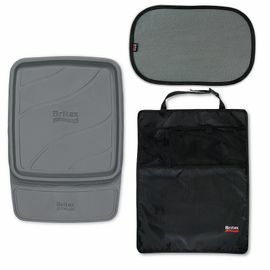 I'm happy to say that the Britax Emblem Convertible Car Seat exceeded my expectations. I wondered how this seat would measure up to my Frontier and Roundabout seats. The Emblem is a great seat. 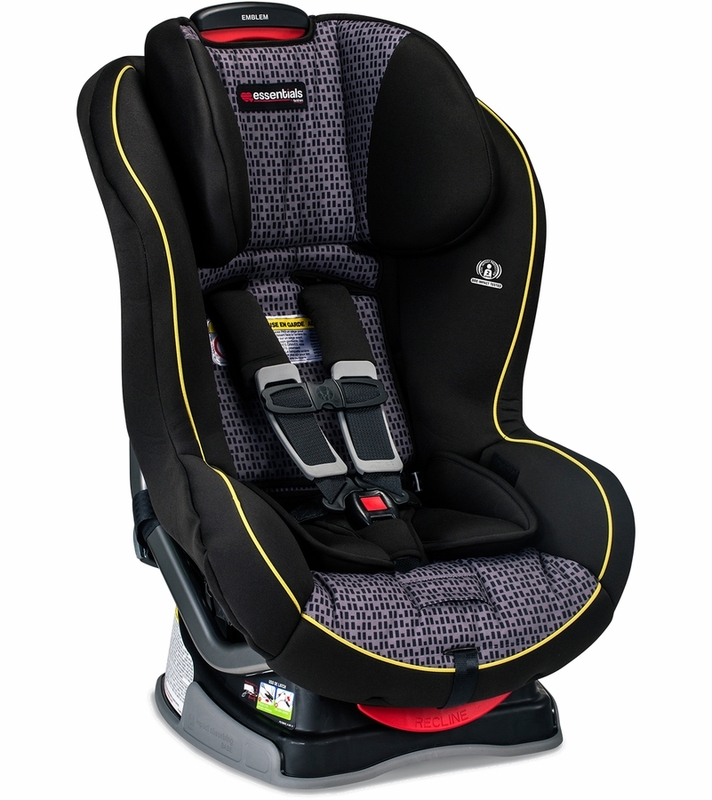 It has all of the safety features you expect from Britax. 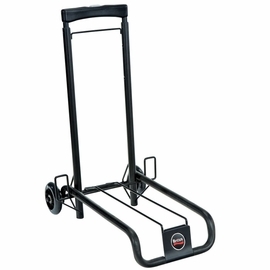 It has a steel frame - making it sturdy and safe. 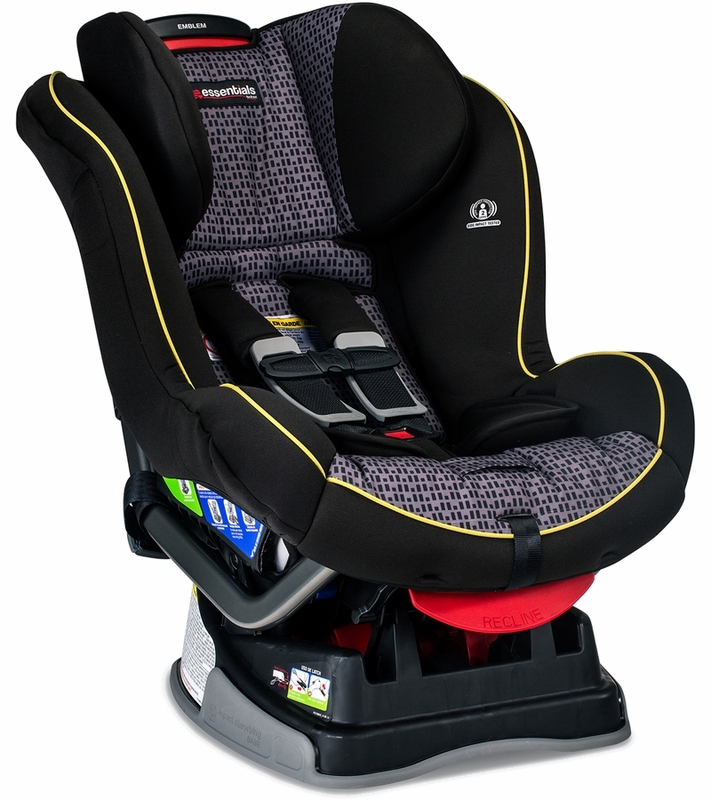 It has the same side impact safety as other more expensive Britax seats. The seat is comfortable so my toddler doesn't mind sitting in it for long periods of time. I easily installed this seat with the lower anchors in the forward-facing position for my 4 year old on the second row of my 2016 Honda Pilot Touring (8 seater - no 2nd row captain seats). We currently have another convertible car seat and an infant seat on the same row. The seat fit perfectly and was not too big. My favorite feature, next to it being safe and sturdy, is the comfortable foam shell. I was given this convertible car seat to try as part of the weeSpring Parent Panel. This seat was my 5th Britax Convertible carseat in the last 11 years. 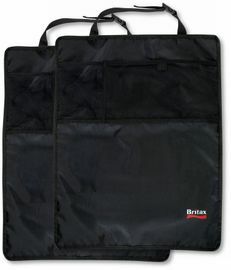 For all 3 of my children, I was an avid user of the Britax Boulevard and most recently the Britax Boulevard Clicktight version. I have always felt that my children were very safe in their Britax seats. 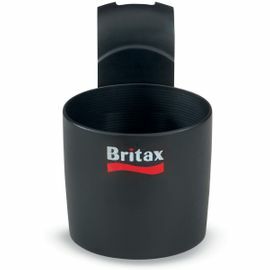 This Britax Emblem was that it was a part of a new Essentials by Britax line. It is a new affordable line that was just introduced this year. I was intrigued and ready to try this seat out! 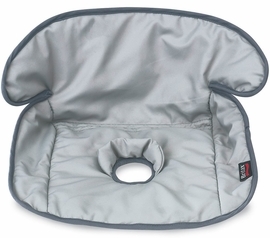 It came packaged similar to the other Britax Convertible seats and looking at the seat, you could not tell that it was from a different line of products. Taking it out of the box, I immediately noticed the considerable difference in weight from my very heavy Boulevard Clicktight. The lighter weight made the Britax Emblem a breeze to get into the car and situated how I wanted it in the seat. The Emblem comes with the Latch system or ability to run a seat belt through a belt path. I chose the Latch. The Latch was easy to get locked in on the seat of my vehicle, but the straps were incredibly hard to tighten. The latch straps seemed lightweight and hard to grip. It took a lot of work and I was really frustrated by the time I finished. I may be too spoiled by my Boulevard Clicktight which was the easiest car seat installation I've ever come across. Once installed, it was time to get my little one in and try it out. The design of the seat makes it easy for me to get my child in and out. She seemed as happy as could be and really enjoyed that this car seat sat her up a little higher in the car! The 5 point harness seemed just as secure and comfortable as I would expect from a Britax. In fact, I find the harness straps much easier to tighten on her once she's in the seat than previous seats. 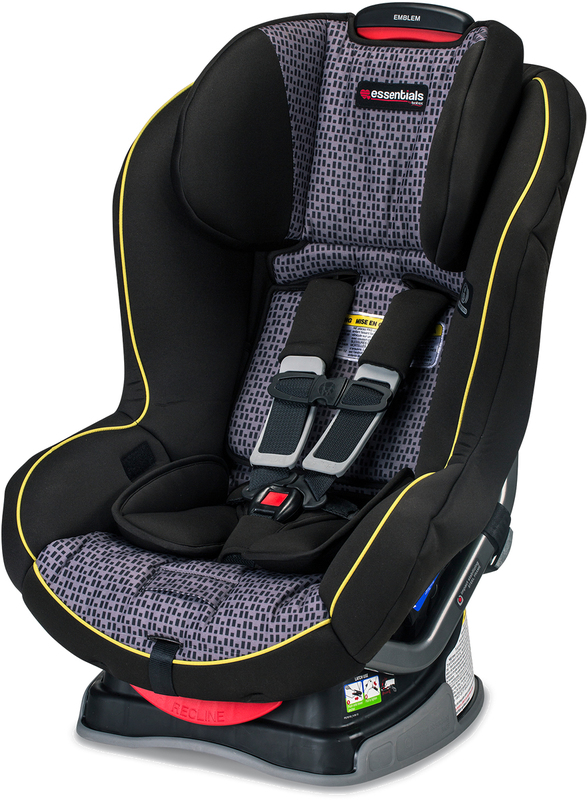 The height adjustments and bottom buckle adjustment are easily done even while the child is in the seat. 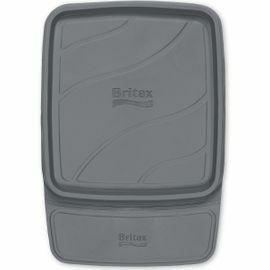 Overall, I was really happy that Britax decided to offer their car seat expertise in a more affordable range. I went back and forth on the star rating and ended up at a 4, but only because the installation was such a pain and we switch vehicles often. But besides that, I am very happy with the seat and I will definitely recommend this seat to my friends and family. I was given this convertible car seat to try as part of the weeSpring Parent Panel. This seat was my 5th Britax Convertible carseat in the last 11 years. 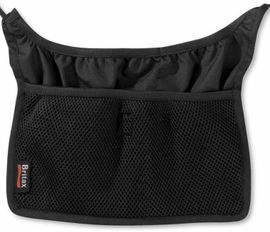 For all 3 of my children, I was an avid user of the Britax Boulevard and most recently the Britax Boulevard Clicktight version. I have always felt that my children were very safe in their Britax seats. 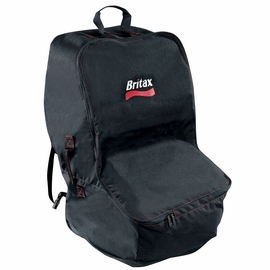 This Britax Emblem was that it was a part of a new Essentials by Britax line. It is a new affordable line that was just introduced this year. I was intrigued and ready to try this seat out!It came packaged similar to the other Britax Convertible seats and looking at the seat, you could not tell that it was from a different line of products. Taking it out of the box, I immediately noticed the considerable difference in weight from my very heavy Boulevard Clicktight. The lighter weight made the Britax Emblem a breeze to get into the car and situated how I wanted it in the seat. The Emblem comes with the Latch system or ability to run a seat belt through a belt path. I chose the Latch. The Latch was easy to get locked in on the seat of my vehicle, but the straps were incredibly hard to tighten. The latch straps seemed lightweight and hard to grip. It took a lot of work and I was really frustrated by the time I finished. 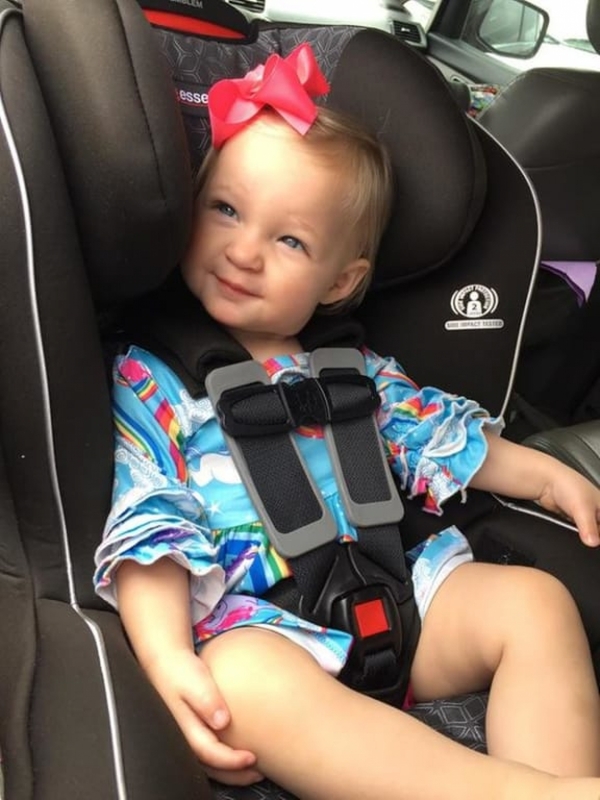 I may be too spoiled by my Boulevard Clicktight which was the easiest car seat installation I've ever come across.Once installed, it was time to get my little one in and try it out. The design of the seat makes it easy for me to get my child in and out. She seemed as happy as could be and really enjoyed that this car seat sat her up a little higher in the car! The 5 point harness seemed just as secure and comfortable as I would expect from a Britax. In fact, I find the harness straps much easier to tighten on her once she's in the seat than previous seats. 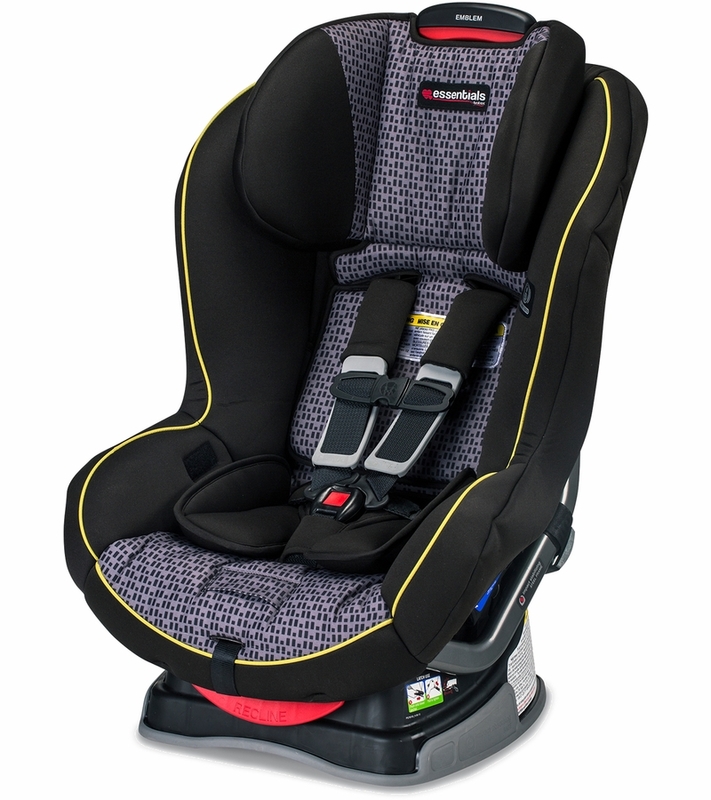 The height adjustments and bottom buckle adjustment are easily done even while the child is in the seat.Overall, I was really happy that Britax decided to offer their car seat expertise in a more affordable range. I went back and forth on the star rating and ended up at a 4, but only because the installation was such a pain and we switch vehicles often. But besides that, I am very happy with the seat and I will definitely recommend this seat to my friends and family. Two kids and many car seats later, I can say that this one is a keeper. I love the extra cushioning and simple design of this seat. It's not too heavy to lug into the car, and installation was genuinely quick and painless (a must). This seat will grow with my son, it's easily adjustable and I'll get several years of use from it. Thanks to weeSpring Parent Panel for the opportunity to test it out. I'm accustomed to Britax convertible car seats, and they are my favorite. This seat is very similar to my Marathon, with the only difference appearing to be the fabric. I love this seat! It is super easy to install with latch, both rear and forward facing. There is no need to rethread any latch straps, simply slide them where you need them. Each side is adjusted individually, which makes installation even easier and feels more safe and secure. The harness system is easy to adjust, also no retreading, just press a button and adjust. There is plenty of cushion for comfort and safety. I always feel like my child is safe in Britax well-made, quality seats. The Emblem is definitely no exception! I received this product from the weeSpring Parent Panel. I'm accustomed to Britax convertible car seats, and they are my favorite. This seat is very similar to my Marathon, with the only difference appearing to be the fabric. I love this seat! 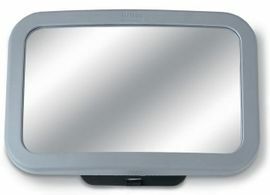 It is super easy to install with latch, both rear and forward facing. There is no need to rethread any latch straps, simply slide them where you need them. Each side is adjusted individually, which makes installation even easier and feels more safe and secure. The harness system is easy to adjust, also no retreading, just press a button and adjust. There is plenty of cushion for comfort and safety. I always feel like my child is safe in Britax well-made, quality seats. The Emblem is definitely no exception! I received this product from the weeSpring Parent Panel. This is the nicest car seat I have found and I've been looking for a while. I prefer it over the Graco because of the angle and comfort for longer car trips. The ease to install and get my two year old situated was my favorite part. It's a very well made car seat, super sturdy and you feel confident that your child is safe in this seat. I had planned on keeping my child rear facing and though I know that it is safest until 2.5...I feel like with this seat... he is safe and I can put my mind at ease. Don't freak out mom's this seat has steel bars for reinforcement can be anchored and even latched into the seat two different ways and I chose to do all of those to be as safe as possible! I love that it is padded and feels like it would be comfortable to ride in, the fact that the "headrest" part moves up and down to correspond directly with my child's height is a wonderful feature! 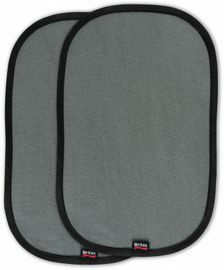 I like that the straps have the gray guard and came with wrap around shoulder padding although the gray guards can really get in a mess and do not want to stay up in correspondence with my child's underarms as they recommend I continuously check and make sure to readjust every time before my vehicle every moves. I also like that there is padding around their genitalia so that the buckle will not be pushing directly in on it because I assume that comes with a certain level of discomfort. Not only do I love this seat but my child loves this seat. I can tell he is comfortable, he can see and he can sleep in this car seat like a dream. Another thing I really like is that this seat will be good for 10 years! In comparison to other brands that is a much longer life expectancy for these seats. I received this car seat for free from Wee Spring to test for their parent panel and I could not be any more pleased with this. I have found very few flaws and my husband inspected it thoroughly and he found few as well. His infant car seat was actually a Britax and I have great trust in the brand as do my parents (who got me started buying britax products) because that is all they bought my younger sister. Thank you Britax and weeSpring Parent Panel for this amazing opportunity for a free and SUPERB car seat! I had planned on keeping my child rear facing and though I know that it is safest until 2.5...I feel like with this seat... he is safe and I can put my mind at ease. Don't freak out mom's this seat has steel bars for reinforcement can be anchored and even latched into the seat two different ways and I chose to do all of those to be as safe as possible! I love that it is padded and feels like it would be comfortable to ride in, the fact that the "headrest" part moves up and down to correspond directly with my child's height is a wonderful feature! I like that the straps have the gray guard and came with wrap around shoulder padding although the gray guards can really get in a mess and do not want to stay up in correspondence with my child's underarms as they recommend I continuously check and make sure to readjust every time before my vehicle every moves. I also like that there is padding around their genitalia so that the buckle will not be pushing directly in on it because I assume that comes with a certain level of discomfort. Not only do I love this seat but my child loves this seat. I can tell he is comfortable, he can see and he can sleep in this car seat like a dream. Another thing I really like is that this seat will be good for 10 years! In comparison to other brands that is a much longer life expectancy for these seats. I received this car seat for free from Wee Spring to test for their parent panel and I could not be any more pleased with this. I have found very few flaws and my husband inspected it thoroughly and he found few as well. His infant car seat was actually a Britax and I have great trust in the brand as do my parents (who got me started buying britax products) because that is all they bought my younger sister. Thank you Britax and weeSpring Parent Panel for this amazing opportunity for a free and SUPERB car seat!